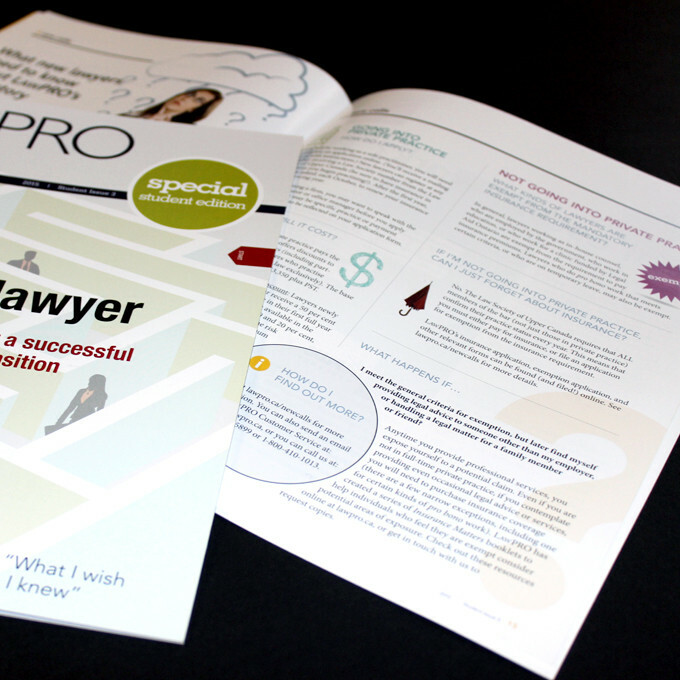 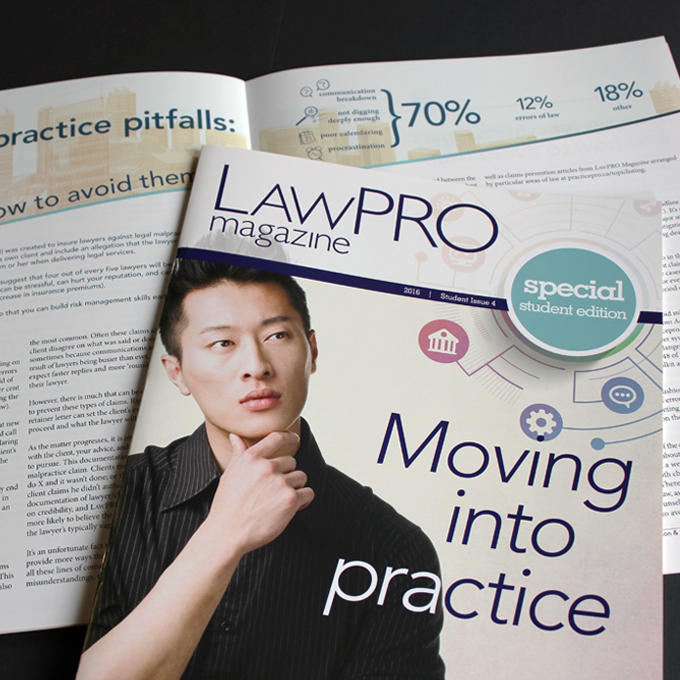 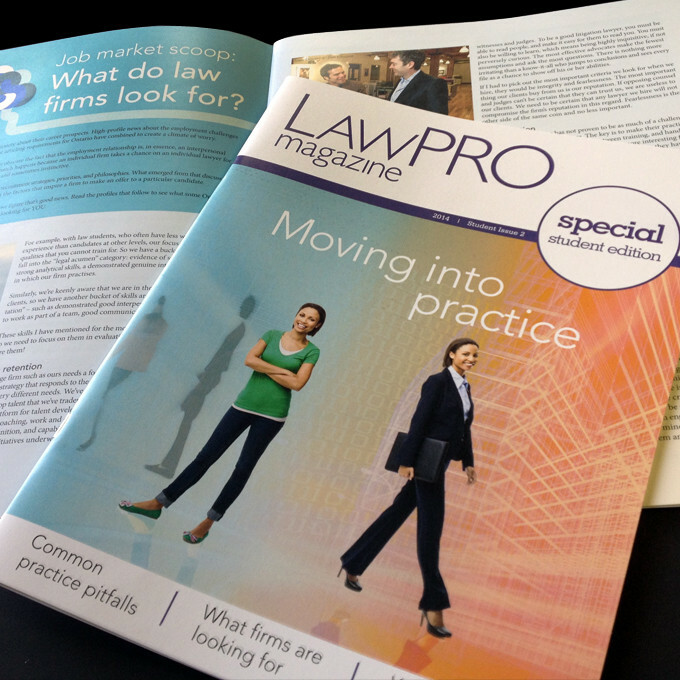 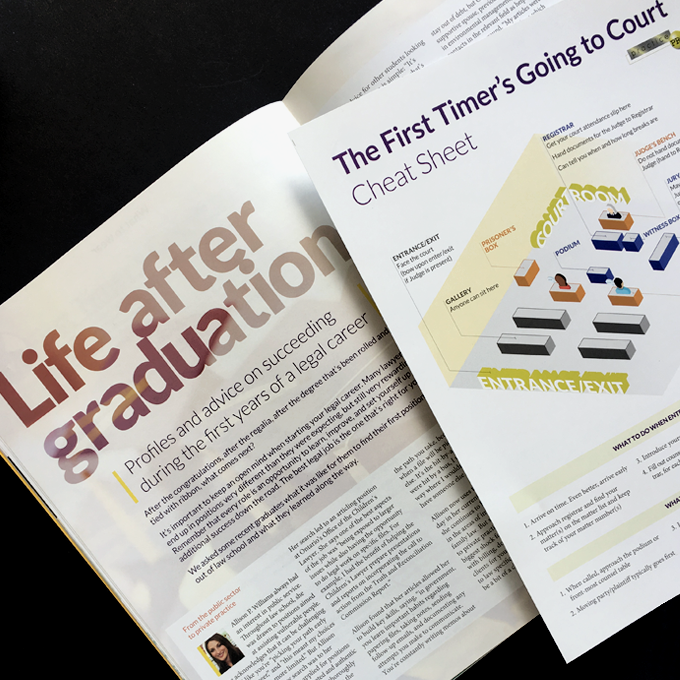 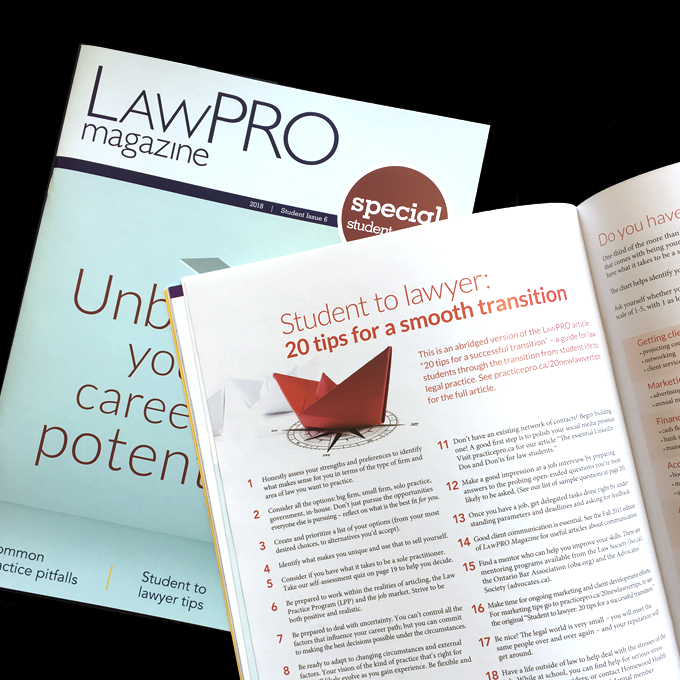 The client was looking for ways to extend their reach to law students, new graduates, and provide an added resource outside of their existing LAWPRO Magazine readers. 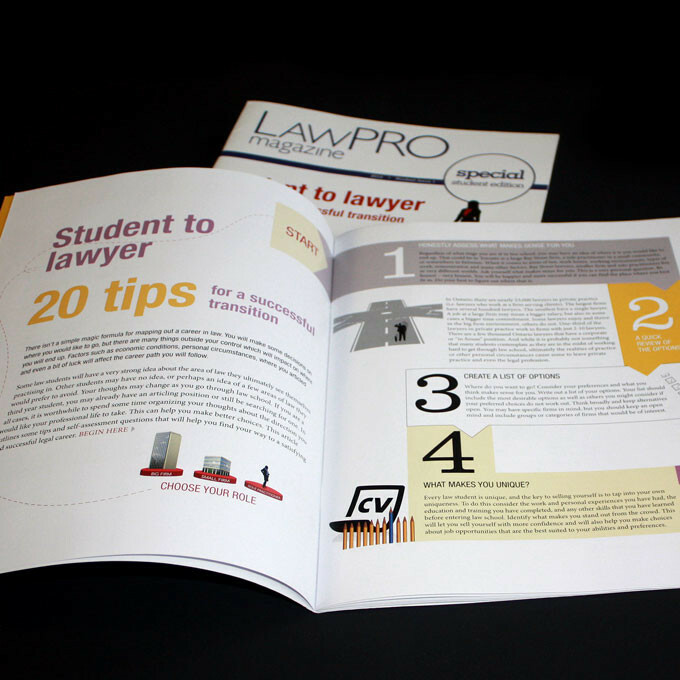 This led us to design and produce the spin-off magazine, the LAWPRO Magazine Student Edition, for the younger demographic. 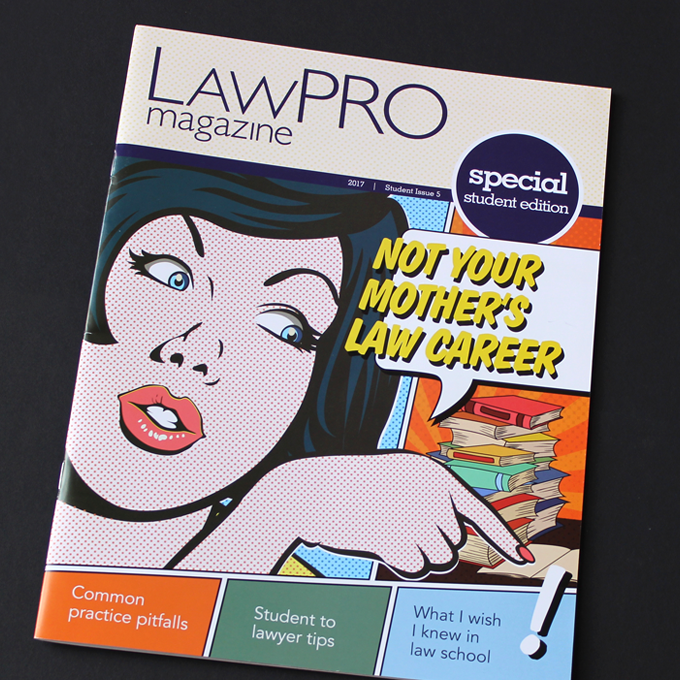 A publication that complimented their existing publication. 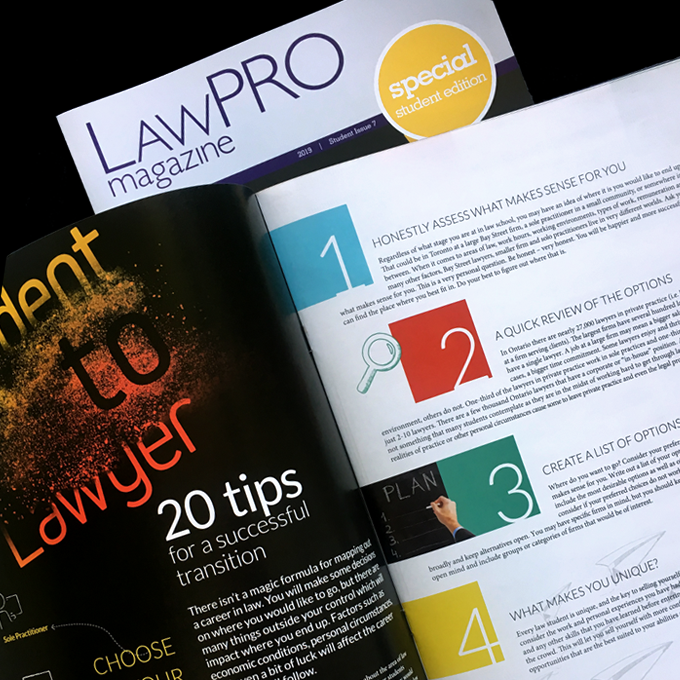 With each issue we create editorial designs for each article inside, typography, research and create custom photographic illustrations/infographics/icons etc. 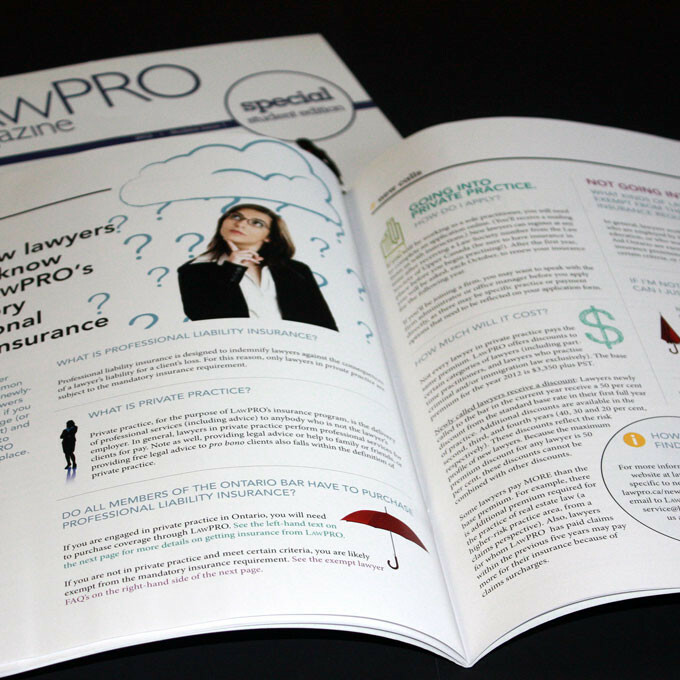 In addition to the print version, we also provide the magazines in a PDF format that is fully-accessible and AODA compliant. 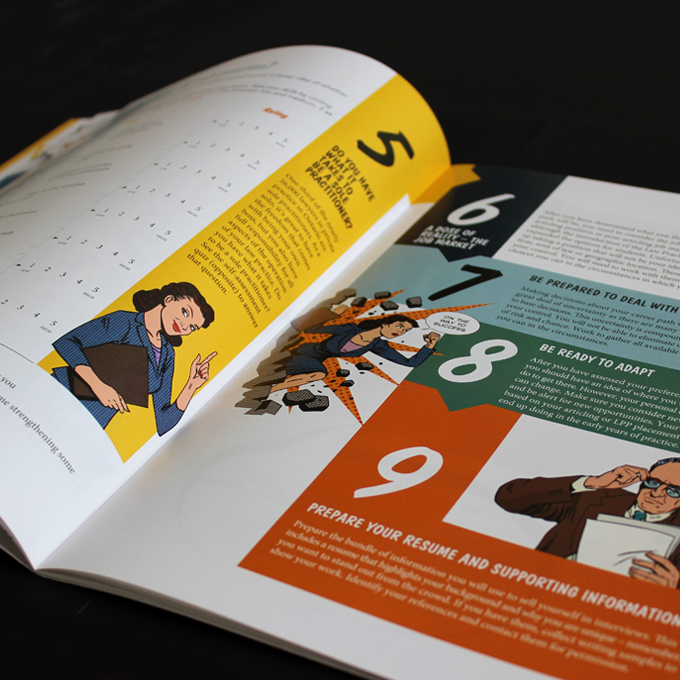 A team that is organized, adaptable, multi-tasking, hardworking & creative.